David Koenig offers a look behind the scenes at the process of writing the best “behind the scenes” Disney parks books! From surprising anecdotes to the massive undertaking of documenting Walt Disney World’s history, Koenig discusses his various books and his opinions about successful attractions, cast member secrets, and the art of bringing fantasy to life. Koenig talks about Universal’s impact on the Disney parks, dealing with Disney’s legal arm, and how pulling back the curtain on Disney park operations can make fans love the parks even more. 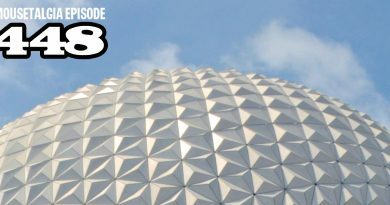 Also, Mousetalgia goes back to Walt Disney World again as Dave, Becky and Kristen discuss a special fundraiser featuring Tony Baxter discussing Journey Into Imagination, the beloved extinct attraction from EPCOT Center. Tony talks about the original proposed EPCOT architecture, the origins of the attraction, and the unlikely genesis of Figment! 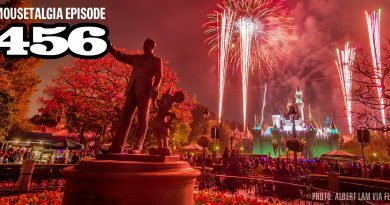 Plus, our favorite Disney summer songs – and more!